Disney trips are very often planned far in advance. 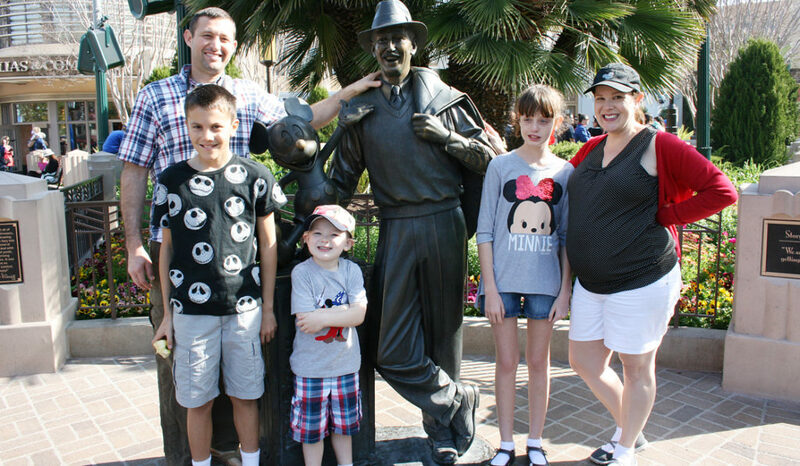 What happens if you have a Disneyland trip scheduled but find out that you’re pregnant? You aren’t sure if you should cancel the trip or continue on. 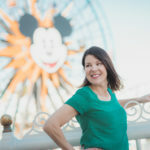 There are definitely special considerations to keep in mind when you visit Disneyland while pregnant. However, being pregnant at Disneyland doesn’t have to be a bummer. 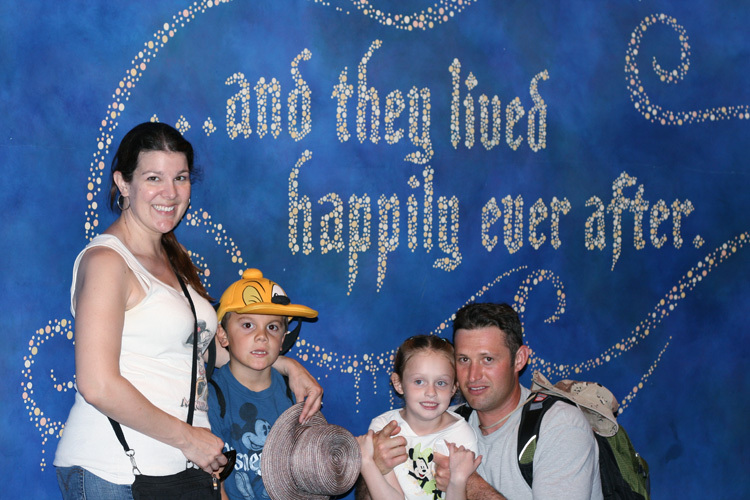 Even if you can’t slide down Splash Mountain or drive a car on the Autopia you can still have a magical vacation! Pregnant at Disneyland? What Can You Do and What Should You Skip? No need to call off your magical vacation if you’re pregnant at Disneyland! 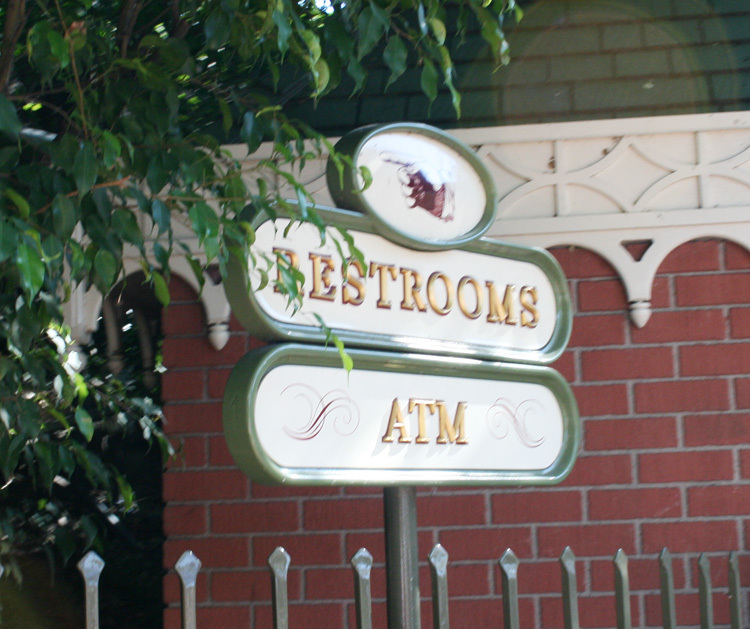 Disneyland is great at accommodating everyone and that includes expecting mothers. However there are some considerations to make when planning the trip and certain rides and attractions you shouldn’t attempt. 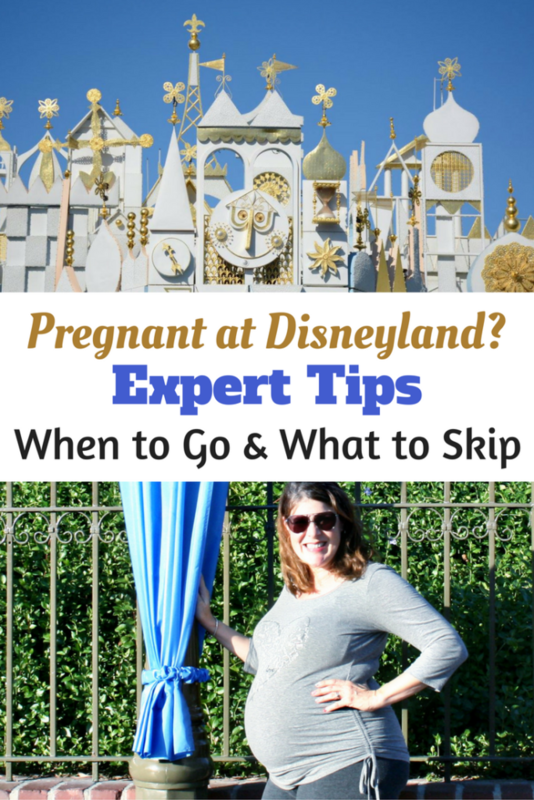 Check out these tested tips of what to do and what to skip if you’re pregnant at Disneyland. In early pregnancy, when women are sometimes plagued with morning sickness and exhaustion, a whirlwind Disney trip can be a challenge. The greasy smell from the corn dog cart might be enough to send a pregnant woman over the edge! And of course later in pregnancy, with swollen feet and an aching back, the last thing you might want to be doing is standing in long queues. Certainly you don’t want to be traveling far from home on a vacation in your late months and risk being too far from your hospital. Always check with your obstetrician first before traveling, especially if you have a high risk pregnancy or if you’ll be flying. 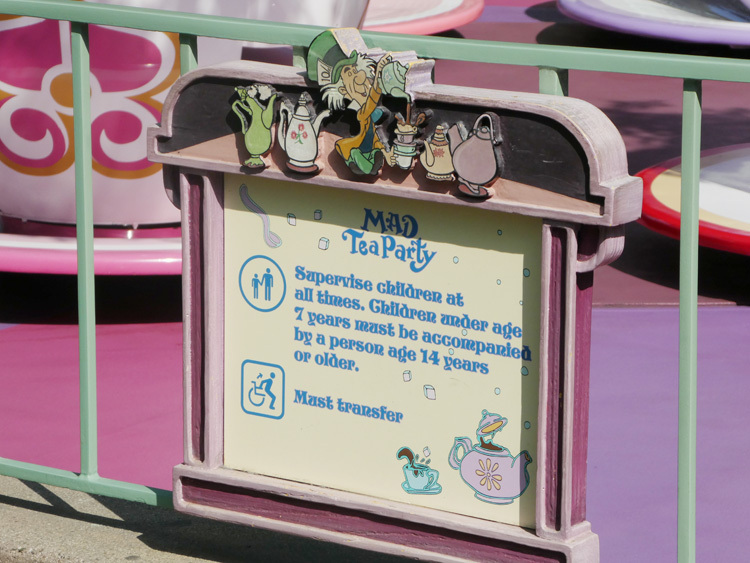 The Disneyland website has a list of all rides that have restrictions and warnings for expectant moms (search “expectant mother’s advisory”). There are very few rides that offer the restriction for expectant moms; these include mostly vigorous thrill rides or rides that may be jerky or jarring to the body. Do not ignore those warnings, even if you are still in your first trimester. The sharp stops and G-force pressure of certain rides can injure your delicate cargo so it’s not worth the risk. 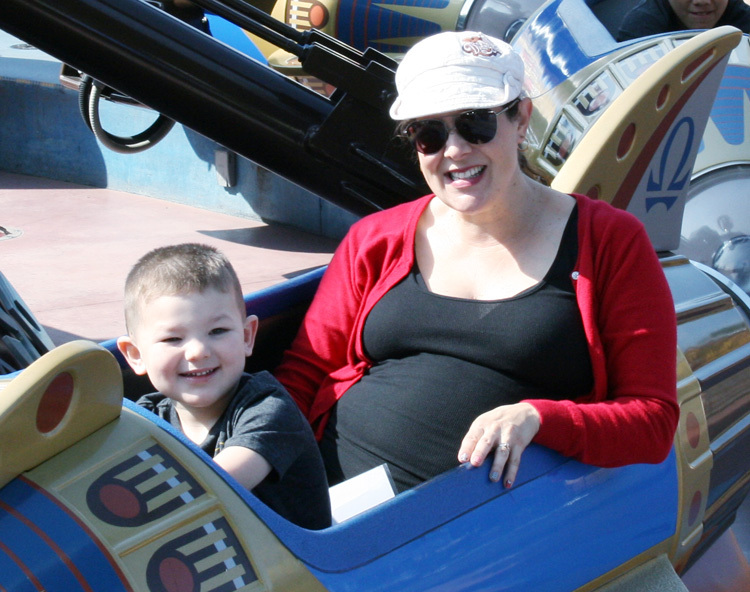 Even if a ride or attraction is okay for expectant moms, you might find it awkward to navigate your pregnant belly into some of these. The Finding Nemo Submarines is a smooth ride that is safe for expectant moms. However, you’ll have to climb down and up a steep spiral staircase and sit in a narrow flip-down chair in a tight space. Over in Fantasyland, there are many dark rides that are just fine for expectant moms but several have small vehicles that may prove challenging to get into. If riding Casey Jr. Circus Train, opt for an open car instead of a caged vehicle. With the Storybook Land Canal Boats, you might have difficulty balancing to get in and out of the boat if you’re in your later months. Davy Crockett’s Explorer Canoes may also offer challenges getting in and out of the canoe. Take care not to exert yourself rowing the oar. Plus you won’t be shaded and it gets hot out there on the water. I’d recommend skipping this one. When I visited Disneyland in the later months of my pregnancy, I did a bit more resting in the shade with my feet on a bench instead of standing in queues. There are plenty of places you can rest your swollen feet and still enjoy the Parks. Find a shady spot and a bench to yourself. Consider bringing a small pillow to set at your back or to sit on to make yourself more comfortable. Stake out a great seat on the parade route ahead of time and save places for your family to join you later. A grand circle tour on the Disneyland Railroad offers almost 20 minutes of rest and fresh air along with a relaxing tour around Disneyland Park. Pull up a chair and enjoy the cool air that blows across the waters of the Rivers of America on the Mark Twain Riverboat. Sit in the shade of Tomorrowland Terrace to eat lunch, watch a show and possibly have your young ones participate at the Jedi Training Academy show. Mickey and the Magical Map offers bench seating in the shade and a live musical stage show. Keep up with your healthy habits by eating plenty of fruits and veggies (don’t forget to pack your prenatal vitamins!). Limit your sodium intake and stay well hydrated to reduce swelling in your feet and legs. You can bring your own water bottles and snacks into the Disneyland Resort Parks to make sure you are getting the healthy and nutritious food you (and your baby) need. Wear comfortable shoes and consider taking a second pair to switch into if you are prone to swelling. I like to start off with tennis shoes and switch over to well-cushioned sandals in the evening. Dress in layers so if you get hot or chilled so you can add or remove layers as needed. Ditch the heavy purse and pack light with a small backpack or tote that you can put on and take off easily. Or consider renting a locker to store your items until you need them. Keep rested inside by finding attractions that combine sitting along with cool air. Soak in a little history (and air conditioning) inside The Disneyland Story presenting Great Moments with Mr. Lincoln. Enchanted Tiki Room is a whimsical place with cushioned benches…and you can bring in a snack! Oh yes, the looping music is worth 15-minutes inside the sublimely air-conditioned “it’s a small world”. You might want to ride it twice! If you have little ones, get there early for the Disney Junior – Live on Stage! show. There are benches across the back of the theater (otherwise you’ll have to sit on the carpet). 40-minutes of pure amazement in cushy theater chairs – ‘Frozen-Live at the Hyperion’ show is can’t miss. 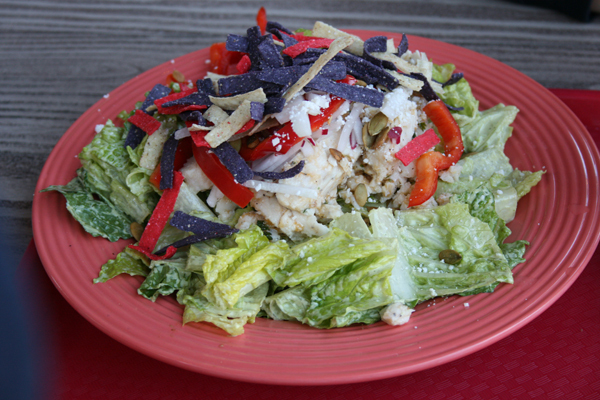 Plenty of sit-down restaurants have both outdoor and indoor dining that gives you both a break and a healthy meal. Now is not the time to push your vacation to the limits. Pregnancy can be very hard on your body and with exhaustion and discomfort already at the max, there is no need to exacerbate any issues. Take a break inside the First Aid station if you feel uncomfortable or in pain. First Aid can help you out and offer a place to lie down for a while. If you’re exhausted, go back to your hotel room for a refreshing swim or to take a nap. Get plenty of sleep even if that means going to bed while everyone else in your group is still up late watching the fireworks. If you are truly miserable and can’t walk, consider renting a wheelchair or motorized scooter in the Park to minimize the amount of time you are on your feet. Look forward to your next trip when your little one will be with you to enjoy it and you’ll be researching what babies can do at Disneyland! We recommend Undercover Tourist for discounted Disneyland tickets. Pregnant and planning a trip to Walt Disney World? 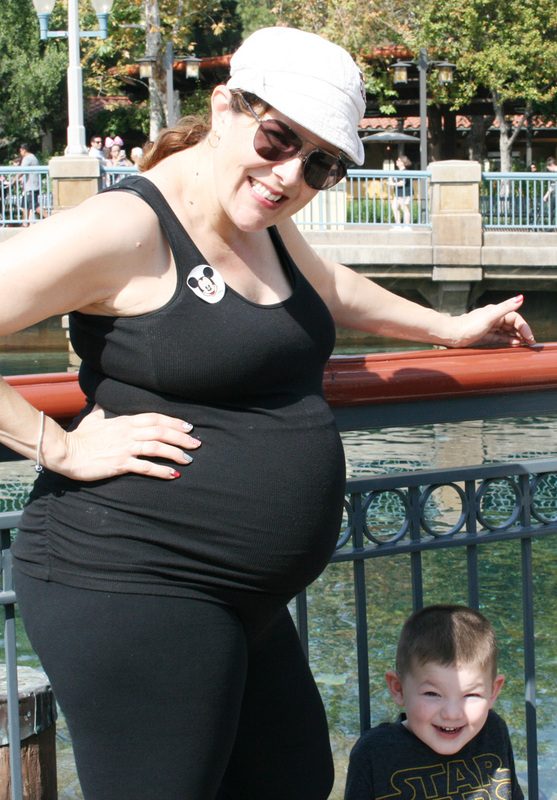 See my fellow Traveling Mom’s report and top tips for visiting Walt Disney World when pregnant. Be sure to check out this post about advice you can’t ignore if you’re pregnant during a Disney trip. Thanks for all the great info! I’m weighing Disneyland vs Legoland for our upcoming family vacation and this really helps. Question: the promo code didn’t work at Parksavers.com. Is there an updated code?